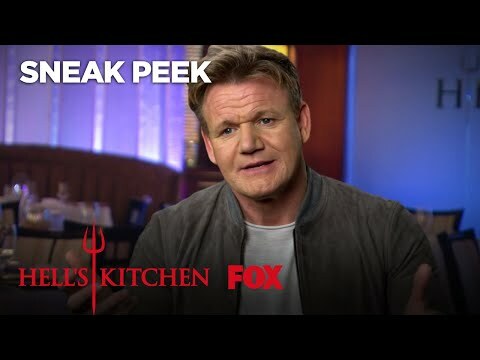 For the 18th season of HELL'S KITCHEN, premiering Friday, Sept. 28 (9:00-10:00 PM ET/PT) on FOX, Gordon Ramsay's hit cooking competition series returns with a twist: pitting veteran contestants against rookies. For the first time in the show's history, eight accomplished chefs who have competed in previous seasons - and lost - will be brought back for a shot at redemption and tested like never before, as they go up against eight ambitious rookies. Each week, the chefs will be put through a series of grueling culinary challenges and dinner services to prove to Chef Ramsay they have what it takes to win a life-changing grand prize: a position at the world's first Gordon Ramsay HELL'S KITCHEN Restaurant at Caesars Palace in Las Vegas and $250,000. Hell's Kitchen Season 18 was released on FOX 205d ago in the US.